This archive holds all posts form March 2015. 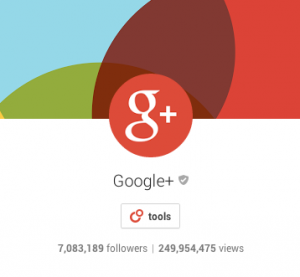 The pending breakup of Google+ holds a lesson that we should keep in mind: Social networks serve the business interests of their owners first. It’s as simple as owned vs rented spaces. The terms, conditions and even basic operations of social networks can and do change at the whim of the owners if they see business advantage in this. If you don’t own it, if you’re just a renter, don’t be surprised if you wake up one morning to find the place has been sold out from under you. Google gave us a stunning illustration of this on Sunday night when, with a Google+ post, Bradley Horowitz signalled the demise of Google+ as we know it. The changes at Google+ underline something that savvy social media users should remember: Use your owned spaces to post your valuable content and then use social networks to promote it. Your owned spaces are as permanent as you want them to be. Social networks are as ephemeral as the owners want them to be.